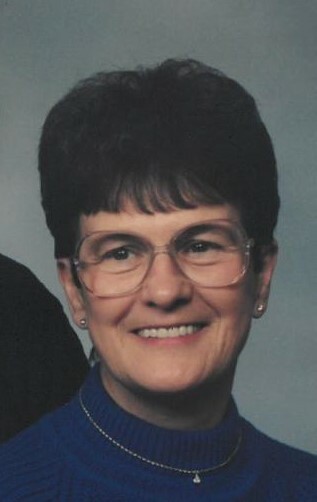 Dolores J. “Dee” Harris, age 82, of Troy, passed away Sunday, January 13, 2019 at Upper Valley Medical Center. She was born November 3, 1936 in Hamilton to the late Marvin and Beatrice (Bacon) Setser. She married Charles F. “Chuck” Harris on July 10, 1954 and he preceded her in death August 2, 2006. In addition, Dee was also preceded in death by a brother: Calvin Setser; and a sister: Marcella Hoagland. Dee is survived by two daughters: Vickie (John) Campbell and Mahala Youssef of Troy; four grandchildren Justin Poock , Charles Youssef, Danyell (Fiancé’-Michael Hall) Youssef and Rachel (Shane) Carter, all of Troy; and four great grandchildren: Ethan Poock, Malakyi Hall, Landon Youssef and Stella Carter. Dee was employed at Hobart Corporation for 25 years. She attended Hughes High School. Dee was a member of the VFW and AmVets Auxiliaries. She enjoyed cooking, baking and spending time with her friends and family. Funeral Services will be held at 2:00 PM on Thursday, January 17, 2019, at Baird Funeral Home in Troy. Burial will follow in Riverside Cemetery, Troy. Friends may call from 12:00 – 2:00 PM on Thursday at the funeral home. In lieu of flowers, memorial Contributions may be made to Alzheimer’s Association, 31 West Whipp Road, Dayton, OH 45459. Condolences may be expressed to the family through www.bairdfuneralhome.com.